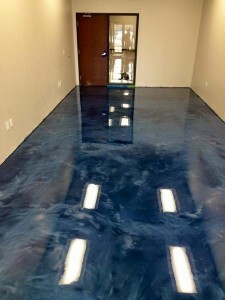 At first, this finish looks like that of a chemically reactive stain or dye but the color and variation is much deeper. While taking a closer look, you’ll notice tiny reflective particles and a 3-dimensional effect that’s not achieved with other flooring systems. 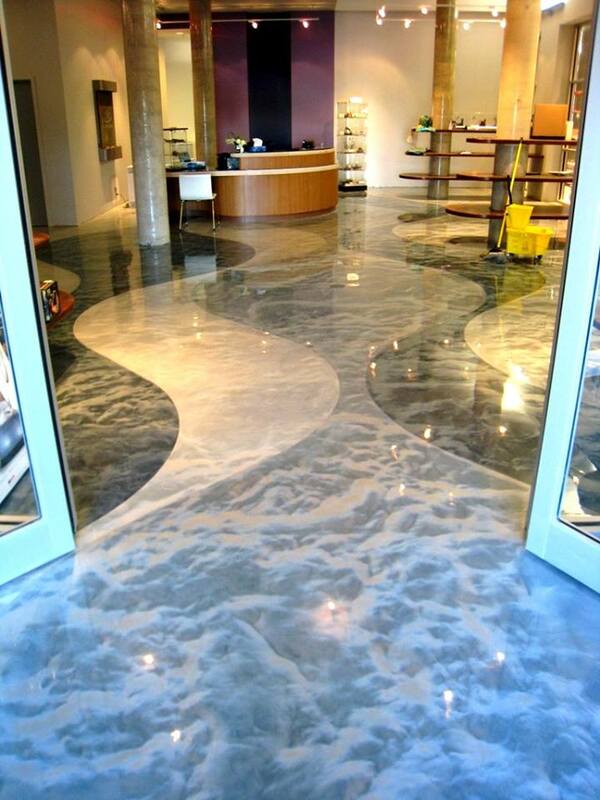 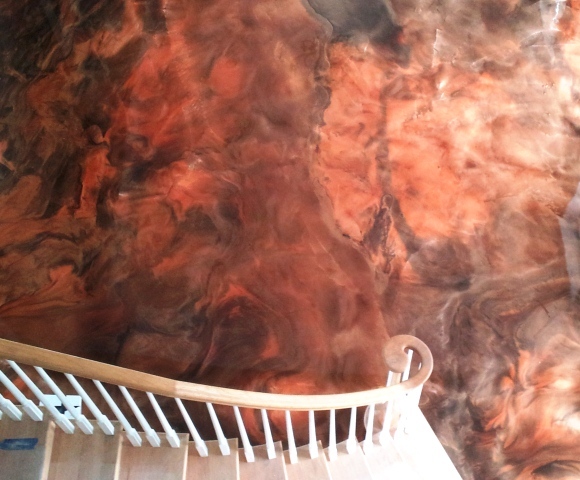 Custom Concrete Design’s Metallic Marble is something you should seriously consider for your home or business. Contact us Today for a FREE Quote on our “Metallic Marble” Finish. 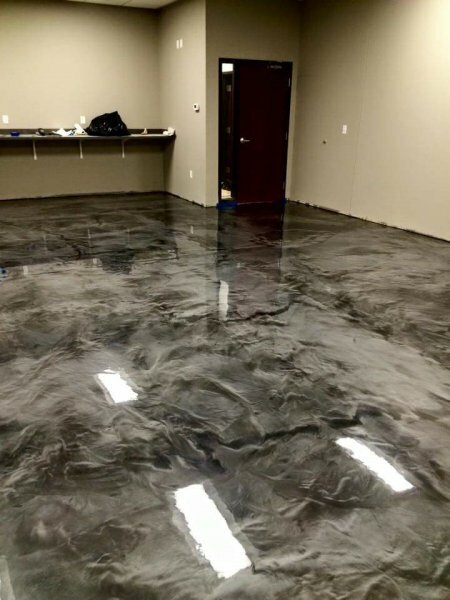 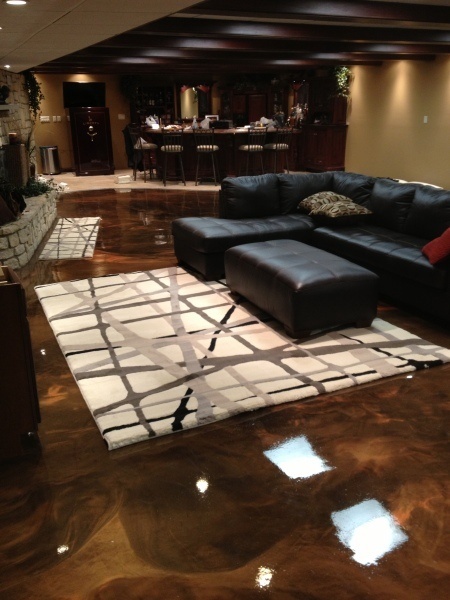 Concrete Staining, Epoxy Flooring, Concrete Resurfacing, Concrete Sealing, Concrete Texture & Overlays & Concrete Stenciling Contractors For Lake Ozark, MO – Osage Beach, MO – Jefferson City, MO – Camdenton, MO – Sunrise Beach, MO Serving the Entire Mid-Missouri Area. Will this hold up on a covered front porch ? 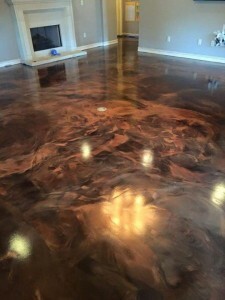 it will Hold and be durable, but because of the Epoxy being in the sun more often or directly I would be hesitant to place it as Epoxy is not UV stable and can Amber, unless you coat it with another product to help shield it from the UV rays then it would last longer…especially if you continued to keep a UV resistant coat over the top of it yearly.